It all started with a lighthearted conversation with a friend where I jokingly said I needed to make a quilt that says "Read My Blog!". 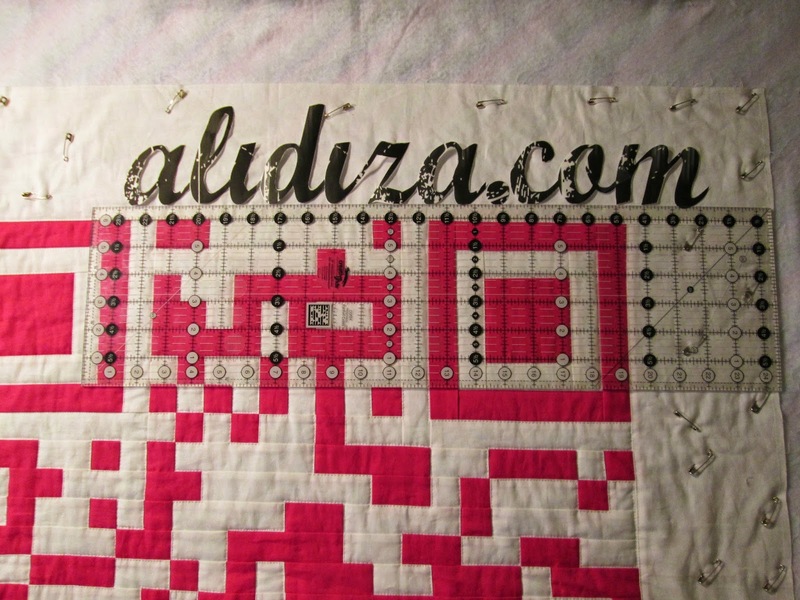 I'd been brainstorming ideas for a quilt to enter in the Quiltcon Quilt Show and this seemed like an obvious choice. I used one of the free QR Code Generator's I found on Google to generate a QR Code for my blog and then used Gimp to overlay a grid over the image. Rather than sewing together 625 1" squares I started by making the 3 nested squares for the corners and then pieced each row using 1 1/2" wide strips cut to the needed length. 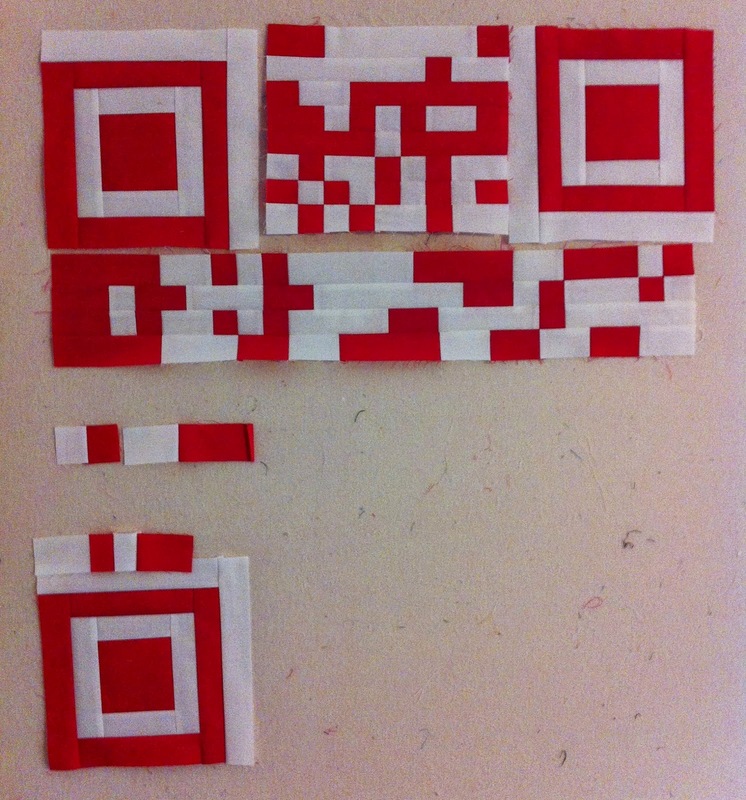 You can't imagine the feeling of relief when having painstakingly pieced together all those rows I scanned the QR code and it went right to my blog!!! For the quilting I decided to keep in simple. 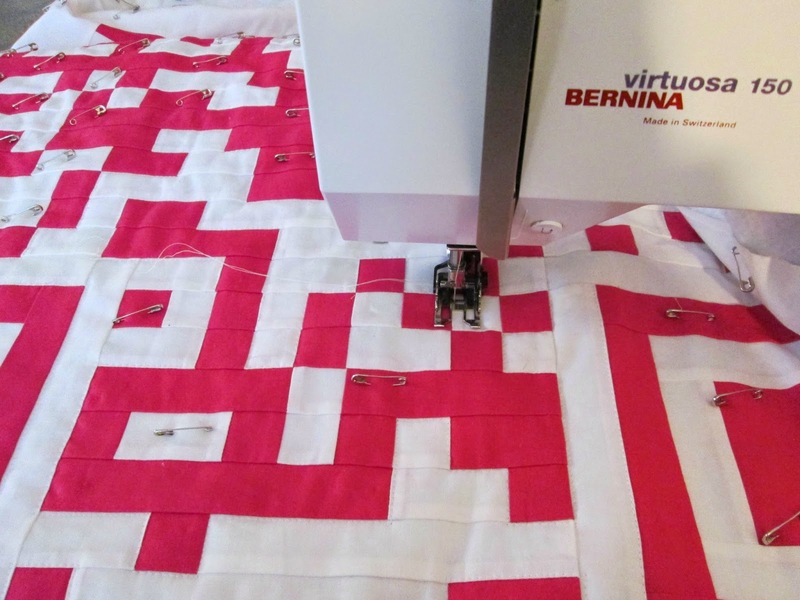 I did stitch in the ditch around the white blocks to help the pink pop. 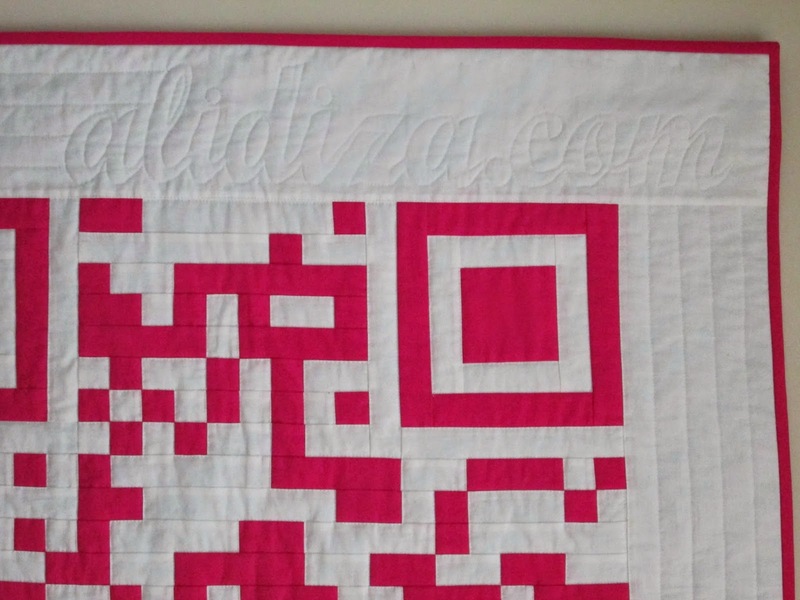 I debated quilting my blog name in to the border because I was worried it would disqualify me but in the end I couldn't find any rules prohibiting it and I thought it made it more obvious what the quilt was about (and for those who don't have a QR reader handy). I printed the text on freezer paper and ironed it on to my quilt and then used FMQ to quilt around the paper. From there I played with some ideas for more FMQ but in the end just echoed the square out to the edge. Finished quilt is 35" x 35"
Fabrics: Bella Solids Azalea, White. Thread: 50 wt. 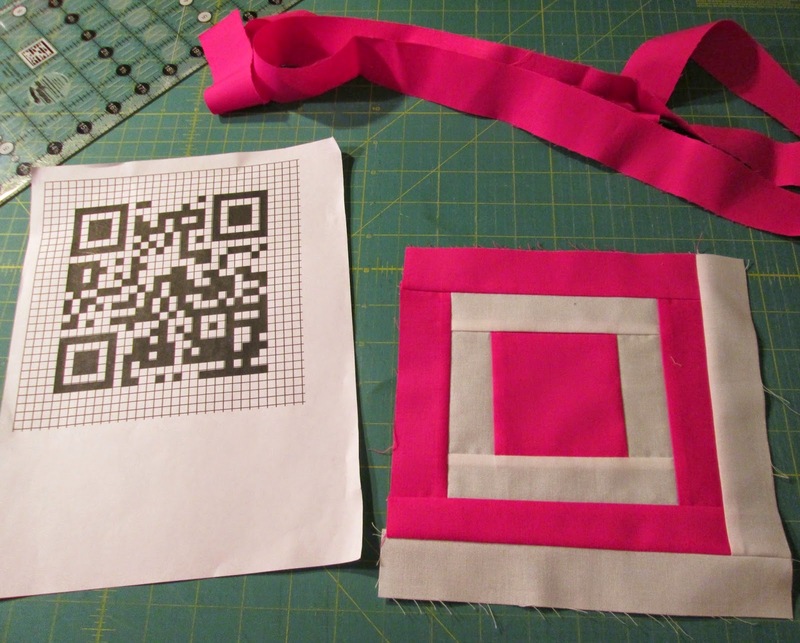 Aurifil in Ivory (2021) and Fuchsia (4020). Prettty cool. I like your quilted name on it. Very cool AND very impressive that you were able to keep all of the squares in the right place and it works! YAY! :) Congratulations on a great finish! Good luck! Crossing my fingers that the BMQG has some good representation at the show. That's such a cool design idea, and the colors really pop! This is the coolest thing ever! 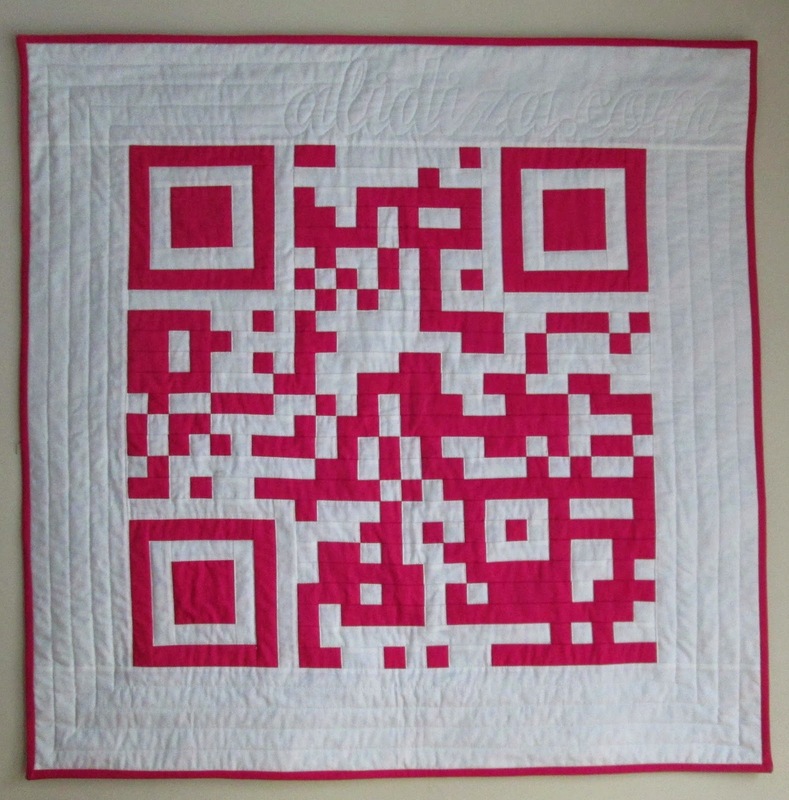 I have never seen a QR Code quilt before. VERY nice work! This is so cool, I want to make my own. I was so impressed when I saw it yesterday and could actually scan it and come here to your blog! Plus it is pretty! I love yours!